Fortis Mining Engineering and Manufacturing offers a wide range of services, including a full service CNC Machine Shop. The Fortis Machine shop is driven by quality; Fortis has highly skilled and experienced Journey persons and machinists that create custom machined and rebuilt products. Fortis Commercial Machining services include machining steel, iron, brass, bronze, stainless, and plastics. Fortis also offers a diverse range of inventory sizes in 4140, 1018, and aluminum to ensure quick deliveries. The shop is responsible for fabricating all Mining Attachments for Northern Strands. Vertical Matching Centers X x Y x Z Up to 40" x 20" x 28"
Along with the Machine Shop capabilities, Fortis Mining Engineering and Manufacturing also has a a CWB Welding Certified Fabrication Shop. The Fortis commercial and industrial welding shop offers excellent quality products with a team of CWB Certified Journeyperson welders and fabricators. 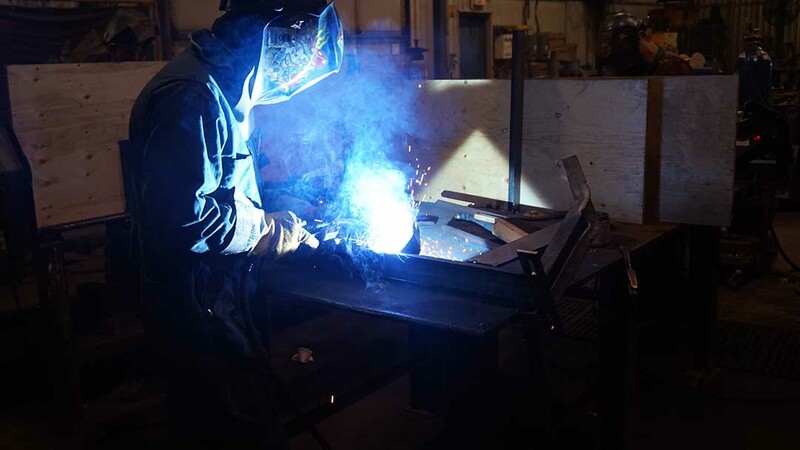 The Commercial Fabrication shop is capable of fabricating all customer requests and is able to provide custom fabrication with backup from engineers, machinists, and pull testing departments. Fortis is CWB Certified in steel and has 3 level 1 weld inspectors. Fortis has completed work for the mining industry, agricultural industries, construction industries. Jobs have also been completed for large companies including Nutrien, BHP, K+S, Mosaic, and many more.